Visitors are welcome to come along and experience for yourself the delight of this James Braid designed course of considerable character and maturity (Est.1912), spectacularly looking, naturally landscaped and challenging course. Conveniently located in close proximity to the M4 and easy access from both the West, Swansea via Jtn 40 and from the East Cardiff / Bridgend via Jtn 36. 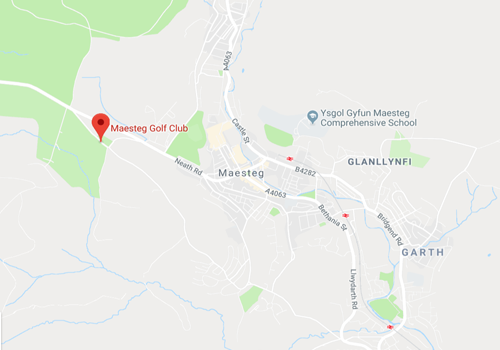 The course sits in the picturesque Llynfi valley capturing the peace, tranquillity and magnificent views of the South Wales countryside. The clubhouse provides modern changing facilities as well as large locker rooms for both ladies and gents. The bar offers an excellent choice of beers, lagers and ciders plus a wide range of spirits and soft drinks.